Oh my gosh!! Can you imagine sitting down with a respected author and being able to ask “How do you do it?” Well, that’s exactly what this feels like when this reading book. 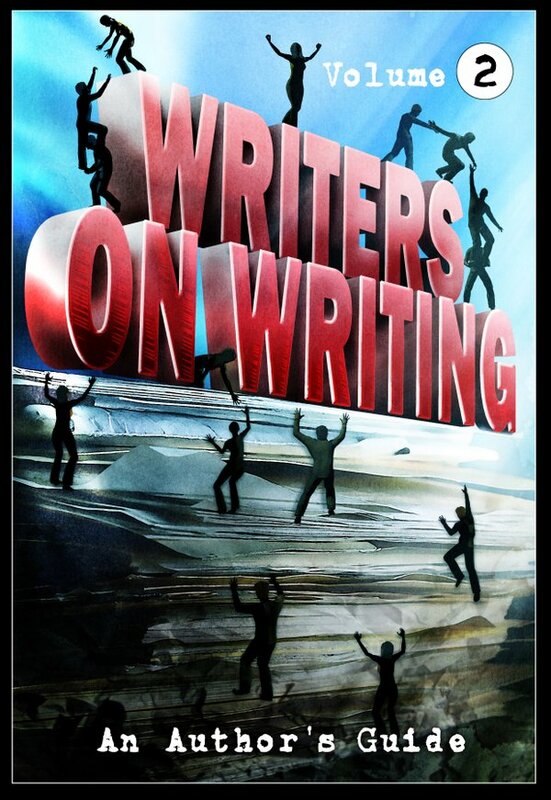 Whether an author or just a fan of the written word, you’ll will be amazed at the thought process of each contributor. How they can start with a simple idea and expand that into a full-fledged story. Is it easy, will this be the magic cure-all, not really. But, these tips will hopefully be the catalyst to get you over the hump and on your way to producing what could be the next best seller. You have James Everington telling you it’s okay to write crap! Yes! It is okay. Don’t sweat the small stuff while writing that first draft. Just get everything down on paper, then he explains how and why that works, and how to take that first draft and start molding it into a finished product. Mark Allan Gunnells writes about my favorite..the short story. You don’t have to write a full-length novel to be considered a serious writer. There is an art to telling a short story, a way to capture the reader and engage them in the story being told. Hah, and Theresa Derwin, she has a novel way of building characters. By observing everyday people, she can imagine a whole new life for them. And, it really works! Since reading this, I have found myself looking at fellow patrons of restaurants, events, etc. in an entirely different way (if they only knew, LOL). When you read the piece by Jonathan Winn, you’ll surely laugh out loud. Jonathan talks about the one thing every writer dreads..’writer’s block.’ Jonathan puts it into perspective. A way, that works for him, to get past that dreaded block. Is it a guarantee? No, but it is a way that works for him, and could very well work for you. Brian Hodge, gives fatherly advice on how to get past negativity. It doesn’t matter how renowned you are, you are always going to face criticism. Is it the end of the world that not everyone loves your work? Of course not! Lucy A. Snyder, Daniel I. Russell, and Paul Kane, also share excellent tips, from how to teach creative writing, to submitting your story, to creating the protagonist vs. the antagonist. Just as in volume 1, these are tips from authors that have found success in writing. Tips that will help you get started in the writing profession. What works for one, may not always work for another, but collectively you are presented with enough ideas to get you going. As a reader, you get a peek of the inner thought process that produced that book you love. Again, this is an informative and thoroughly engaging read. Pick up your copy here! Its great to read these books for inspiration but some think there’s going to be some ‘magic bullet’ in books like this that will make the reader successful. I’ve read many and the one thing I have learned is that each person has to find their own way to tell their story, what works best for them and how to move forward. I will probably read this for inspiration but the real answer comes from within. Like you stated, what works for one person doesn’t always work for another person. Very well said. There’s usually plenty to take away from these efforts, but at the end of the day every writer has to find his own voice.